SCHMITTS online casino gives up to 75 bonus spins and £/$/€500 in casino bonuses to all new players. Sign up at Schmitts casino and make a first deposit to get your first 30 bonus spins at the game Starburst + 200% casino bonus up to £/$/€50. With your second deposit you get 20 bonus spins on the game Panda Pow + 100% bonus up to £/$/€200 and with the third deposit you get 25 bonus spins on the game Foxin Wins + 50% bonus up to £/$/€250. 1st Deposit: 200% match up bonus up to 50GBP/Euro with 30 Free Spins on Starburst with 10 EURO/GBP minimum deposit. 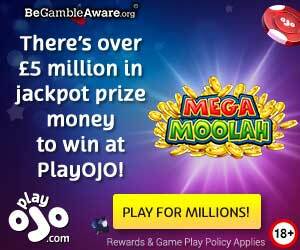 2nd Deposit: 100% match up bonus, up to 200 GBP/EURO with 20 Free Spins on Panda Pow with 10 EURO/GBP minimum deposit. 3rd Deposit: 50% match up to 250GBP/EURO with 25 Free spins on Foxin Wins EURO/GBP 10 minimum deposit. The above offer is valid from 1st June 2018 to 31st December 2018, 23:59 GMT and is valid only once per account.